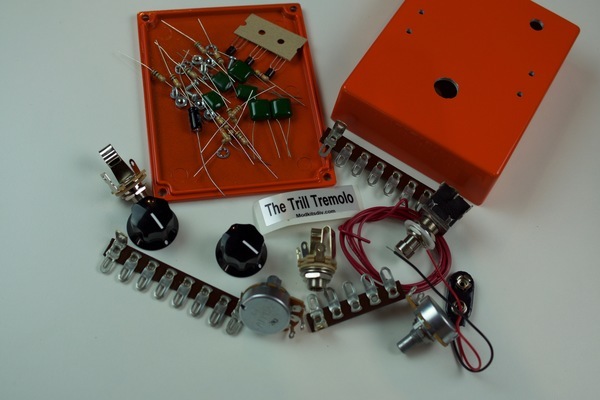 The Trill Tremolo is a DIY kit, a classic tremolo effect pedal. True bypass, Speed and Depth controls. 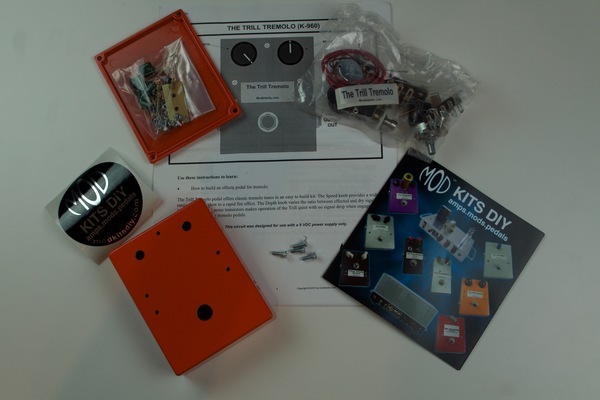 The Trill Tremolo DIY kit is a mid level DIY pedal project. Easy circuit to understand, good first project once you have the basics of soldering. Mid level project, great instructions, and easy to follow. 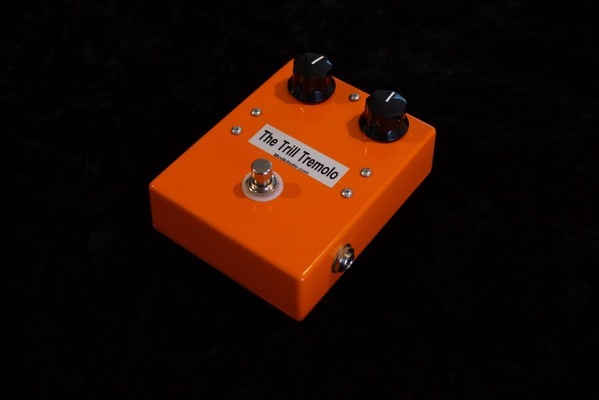 The finished Trill pedal gives a classic tremolo effect, fluctuating the volume control that gives an oscillating “tremolo” sound. Heavy duty metal case. 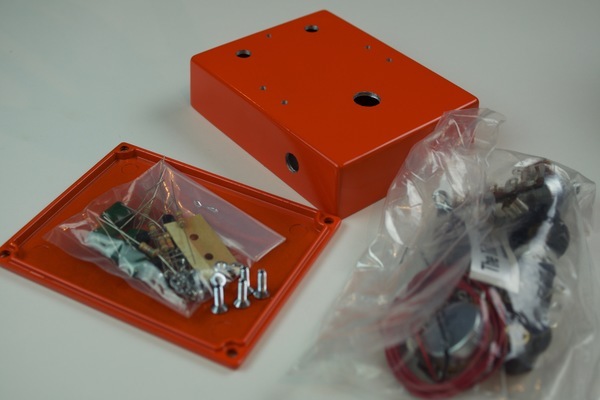 Parts are good quality, there is ample space for parts placement, and soldering. There are several Mod’s published on the MODKITSDIY website. (1) increase depth control with the addition of 1MA to add “intensity”. (2) Add a 9v power adapter input.